Written specifically for bedtime, this story is full of magic, sparkle and rainbows... and one naughty little unicorn! Weaving a journey from lively beginning to gentle end, the 10 minute countdown to bed is at the heart of this enchanting story. But will Twinkle get to bed on ti... read full description below. Rhiannon Fielding is a children's picture book author whose work includes the Ten Minutes to Bed series for Ladybird Books. 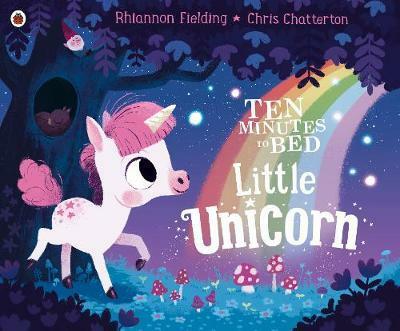 Coming soon in 2018- Ten Minutes to Bed- Little Unicorn and Ten Minutes to Bed- Little Monster. Chris Chatterton is an author and illustrator from County Durham, England, with a background in graphic design and commercial animation. His passion for illustration led him to pursue a career as a freelance artist working for a wide array of clients including Penguin Random House, Macmillan, Little Tiger Press, Scholastic and CBBC.